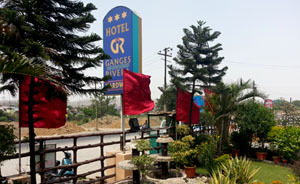 Hotel Ganges RIVERA, situated opp. to the bank of Holy River Ganga, a popular destination among Hotels and Resorts at Haridwar, with an extra touch in style, comfort and service. Lies along this country beautiful Northern Region of Himalayas, a privileged location with panoramic breathtaking view of Ganga, offering an extensive variety of services. The Hospitality trade is the mainstay of a large segment of society. In recent times however, the need for world class amenities has pushed the organised sector in hospitality business to the fore and Hotel Ganges RIVERA can boast the total hospitality services. Hotel Ganges RIVERA is one of the most popular hotel in the town and is designed to cater to a cosmopolitan clientele. Hotel Ganges RIVERA takes pride in offering its guests a peaceful and tranquil heaven. The perfect retreat for visitors and business travelers alike. Hotel Ganges RIVERA has been completely transformed into a luxury hotel providing discrete accommodation with sumptuous comfort and vide variety of Indian and Continental Food. 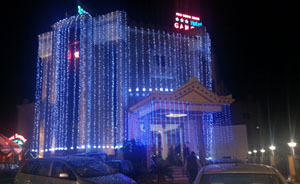 Its always a pleasure to provide guests with all amenities at finest downtown hotel of Haridwar. Make a concerted effort to please our guests with unsurpassed service, har ki pauri hotel luxury, entertainment and conveniences. The entire staff of Hotel Ganges RIVERA strives to maintain this level of superior service. From the second you check in to the moment you check out, you'll experience our dedication to excellence firsthand. Hotel Ganges RIVERA carefully designed with flexibility in mind, with unique air conditioned Conference Rooms, versatile Syndicate Suites, and magnificent dining and entertaining facilities, The Hotel is extensively equipped to satisfy a wide range of Conference & Banqueting requirements. Whenever you find a few moment to relax, you will discover just how special we make those moments seem for you. So discover a sweet blend of diverse influences & make your stay memorable in Haridwar with Hotel Ganges RIVERA.